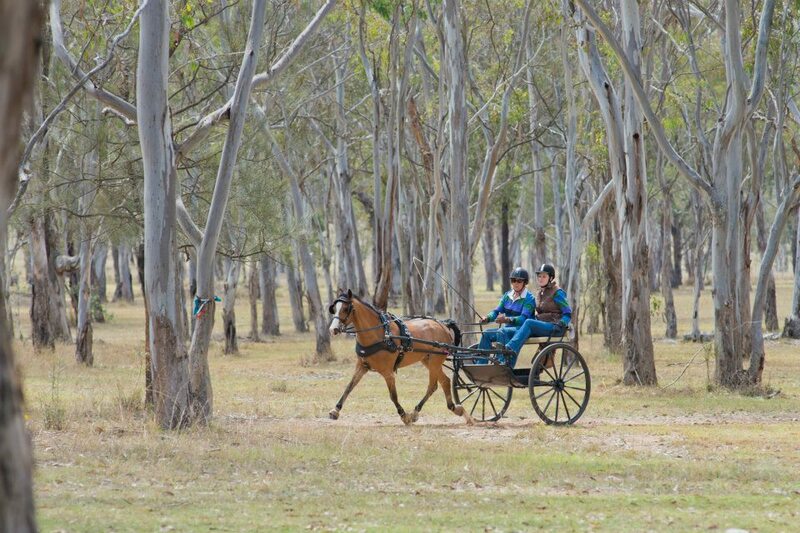 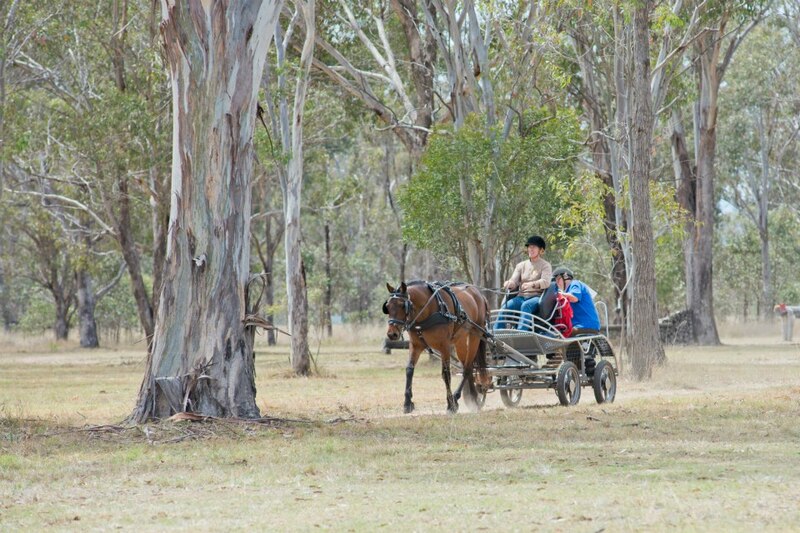 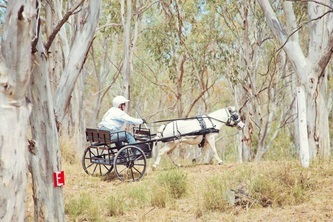 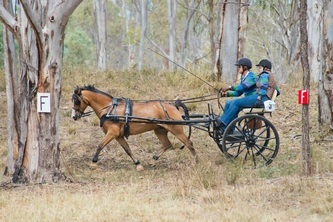 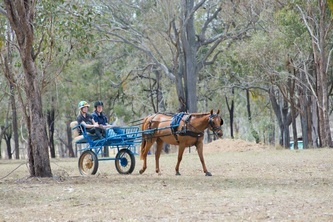 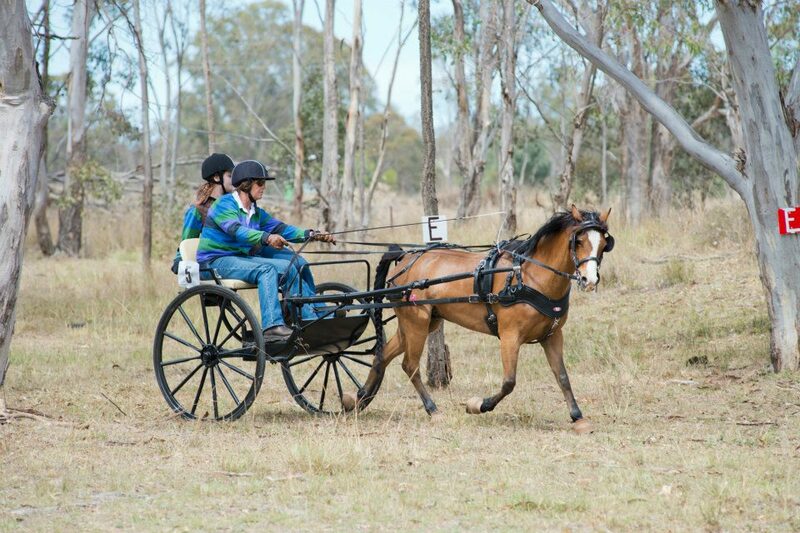 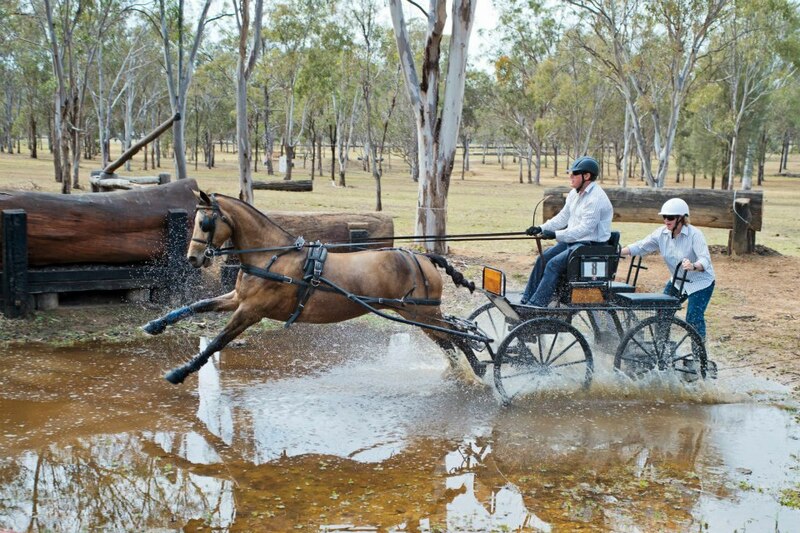 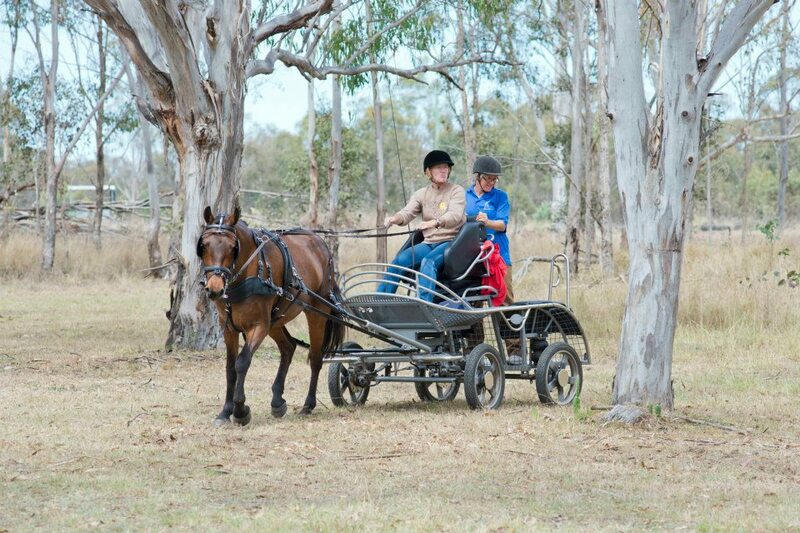 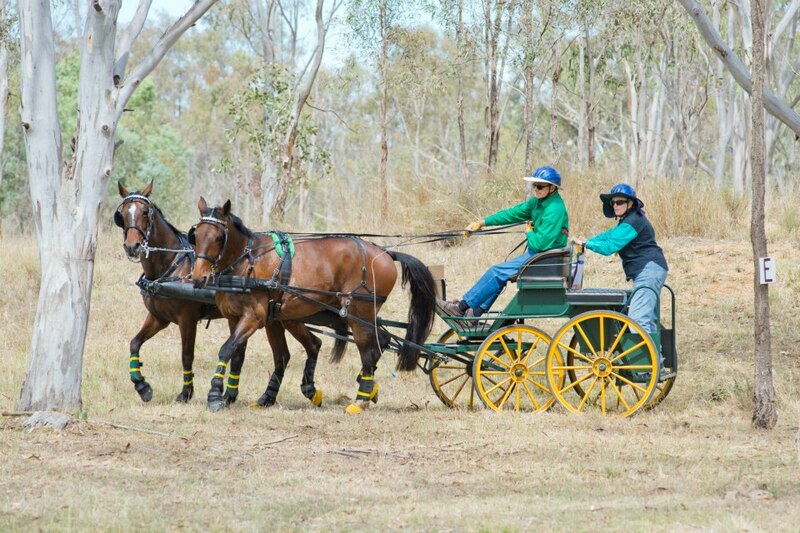 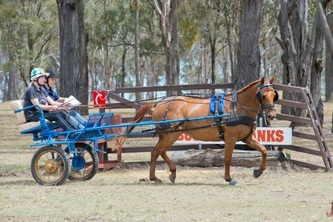 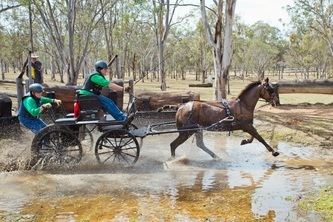 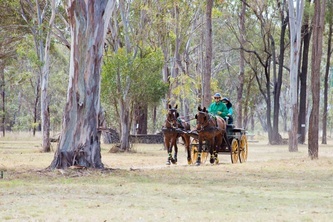 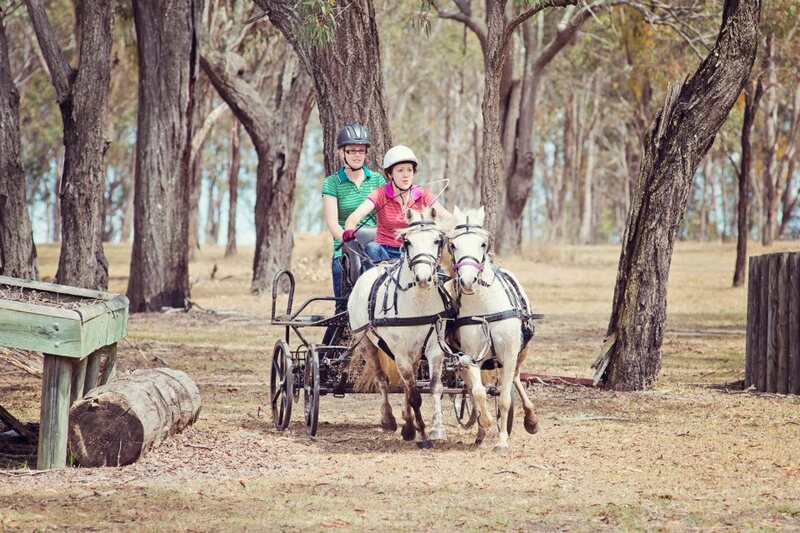 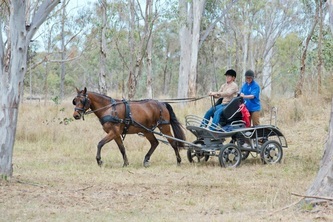 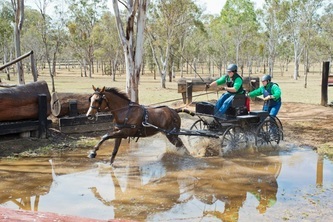 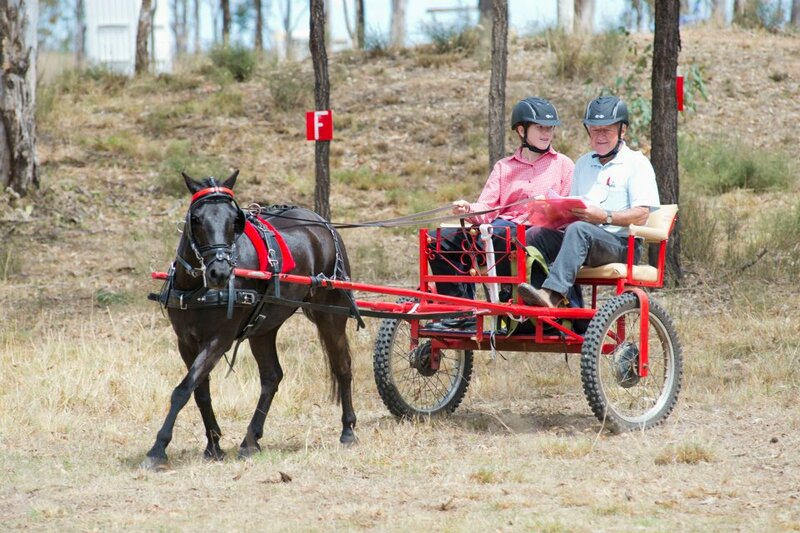 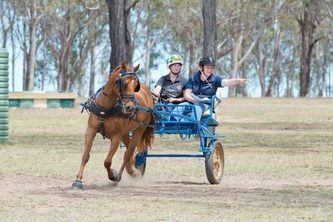 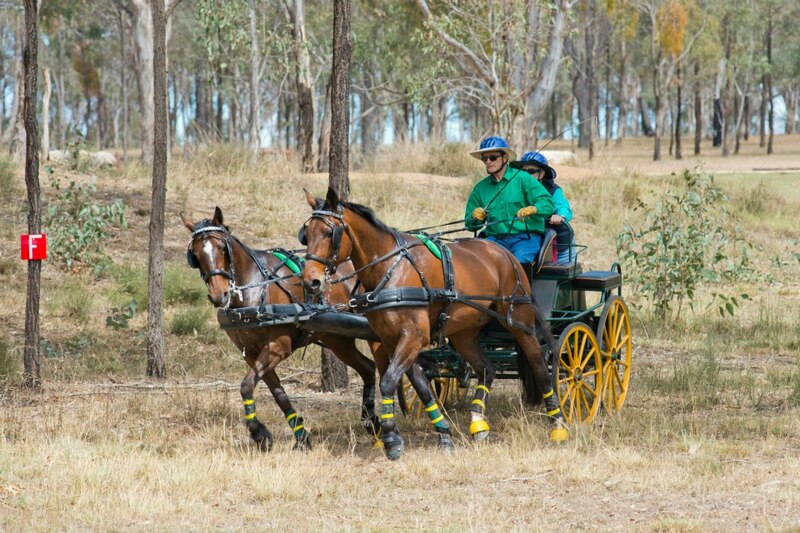 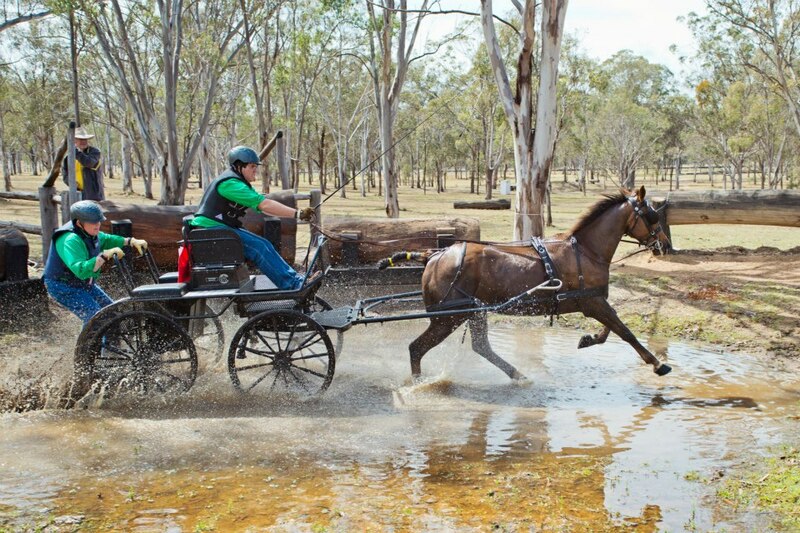 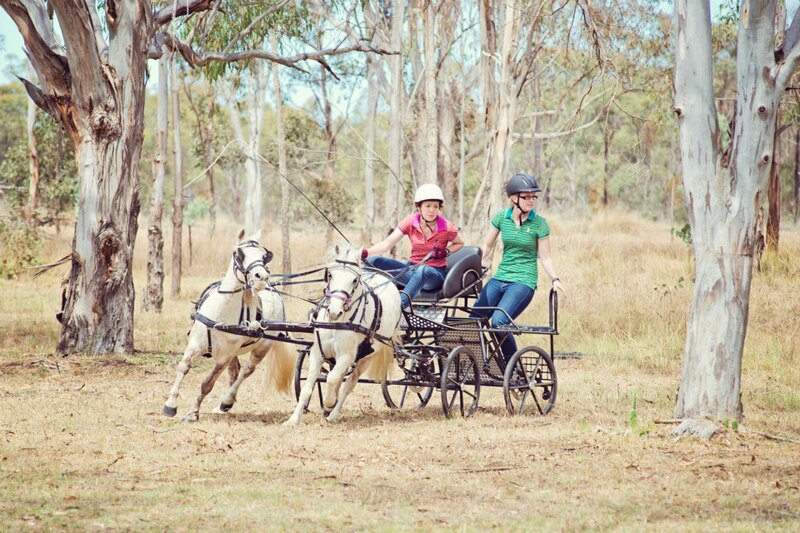 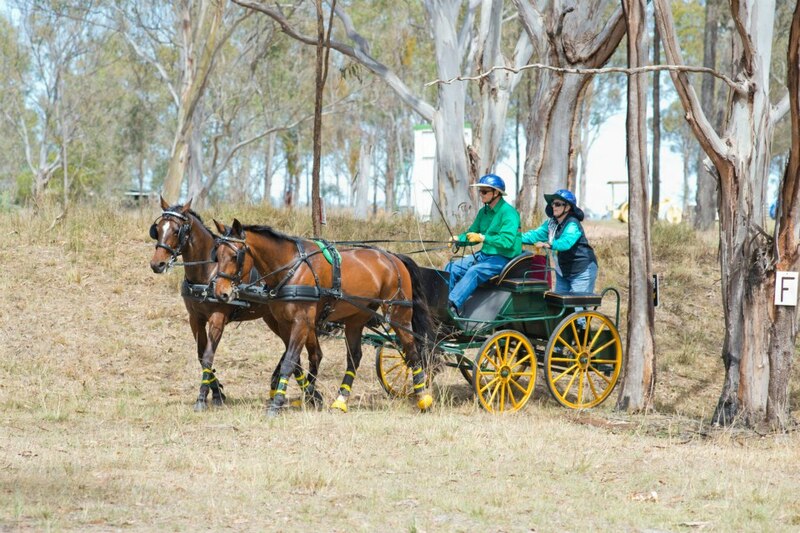 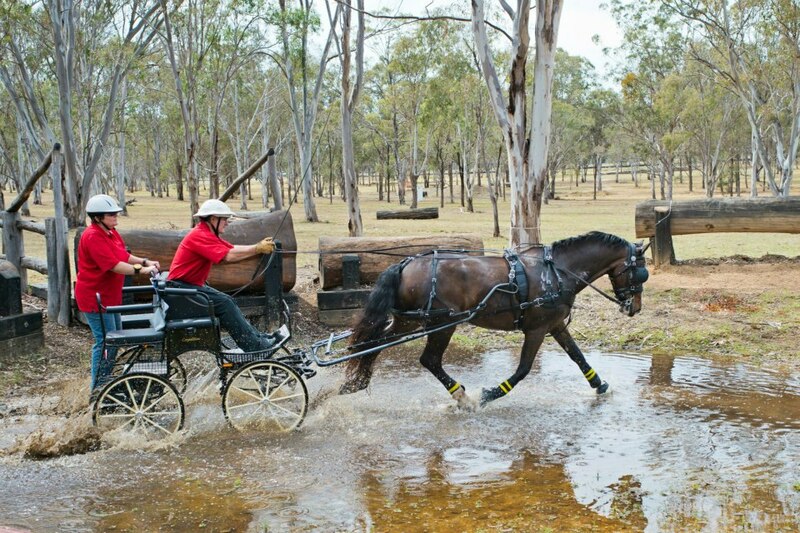 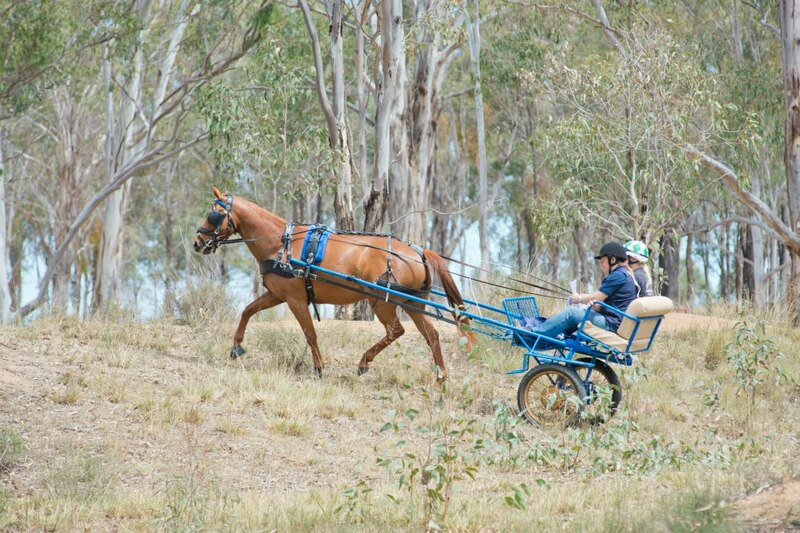 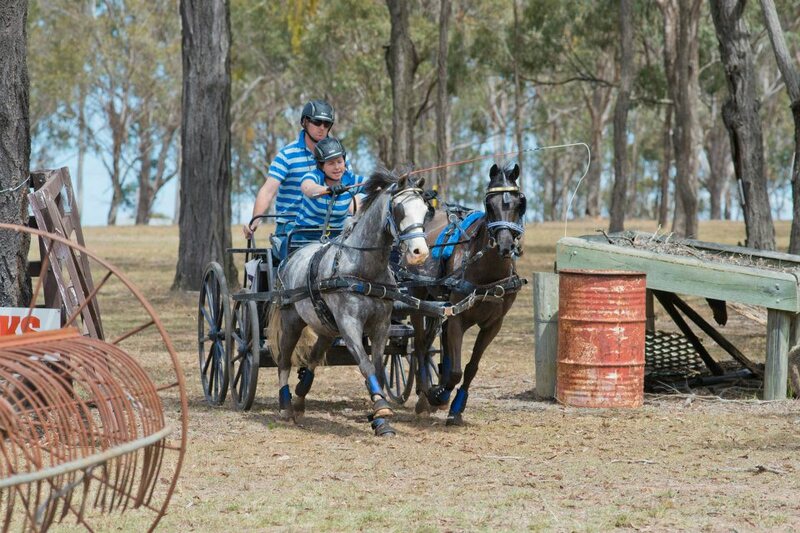 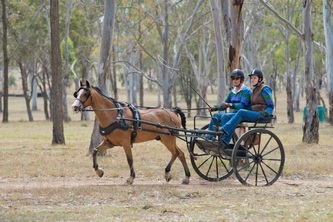 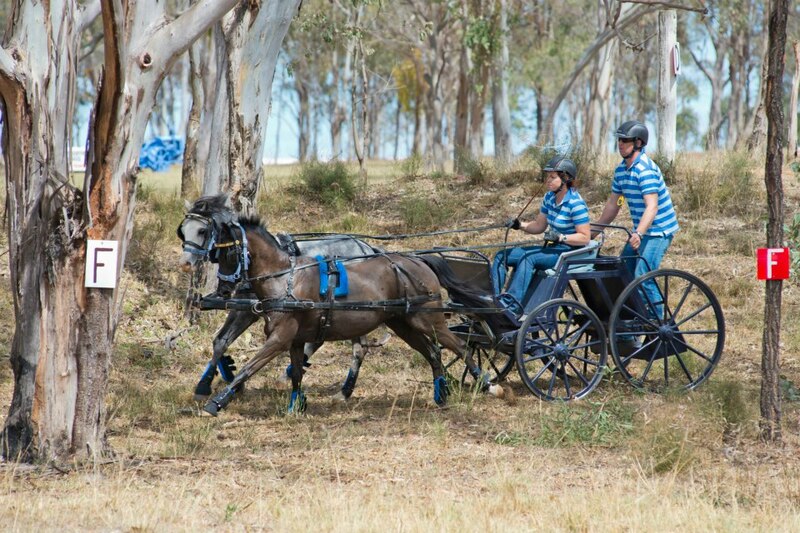 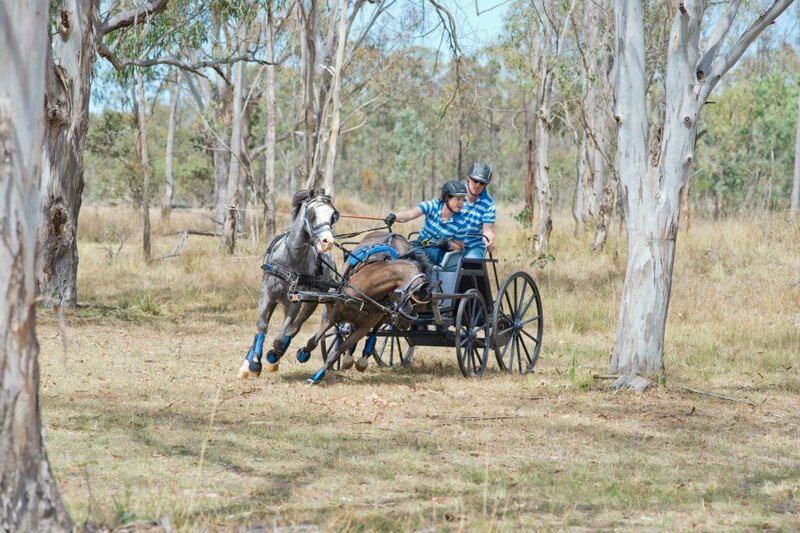 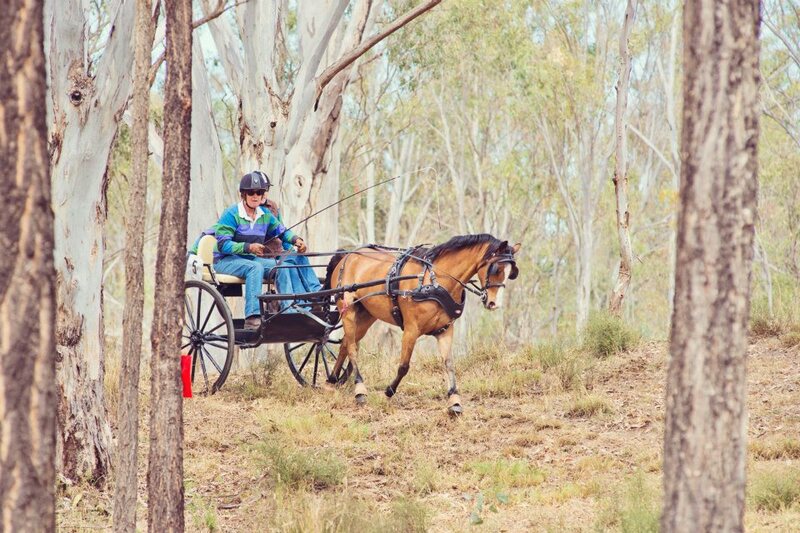 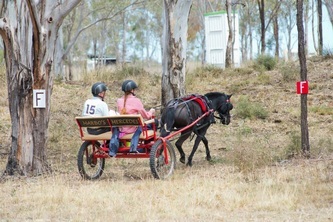 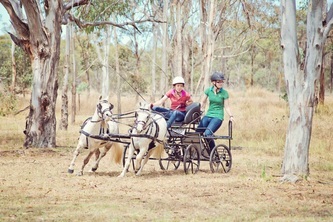 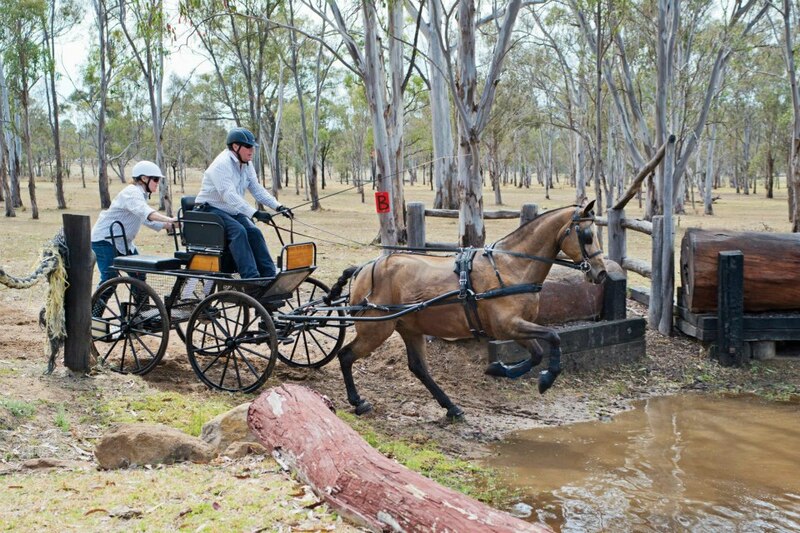 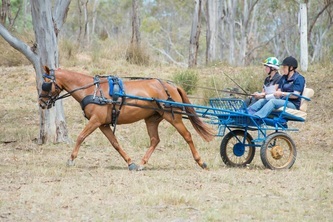 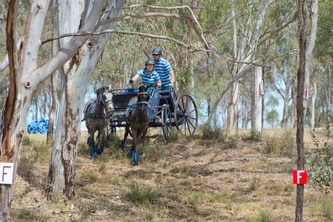 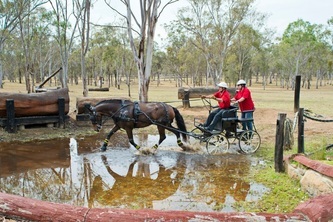 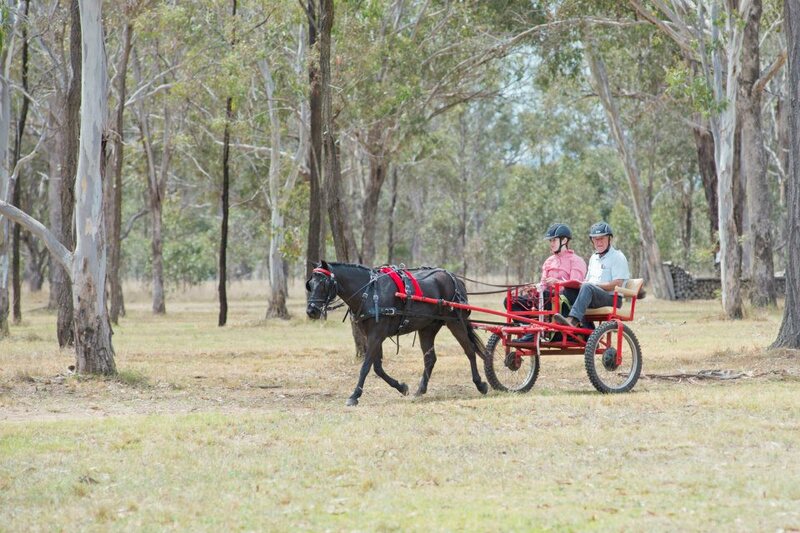 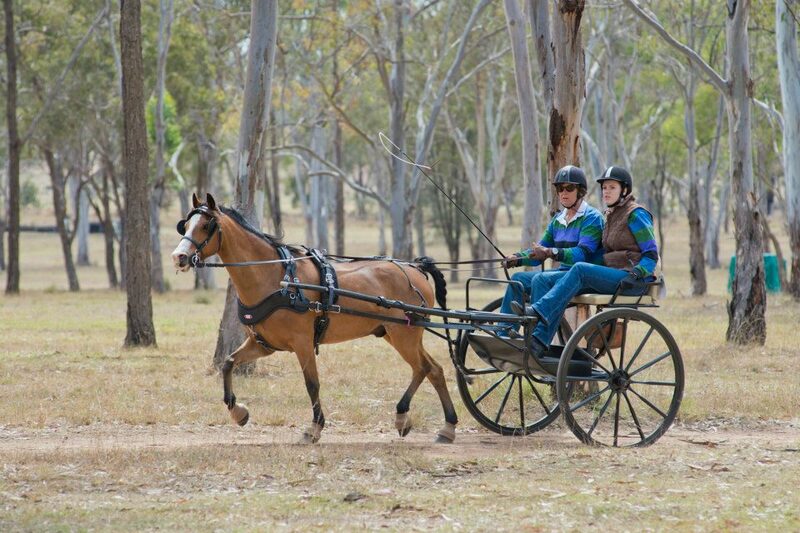 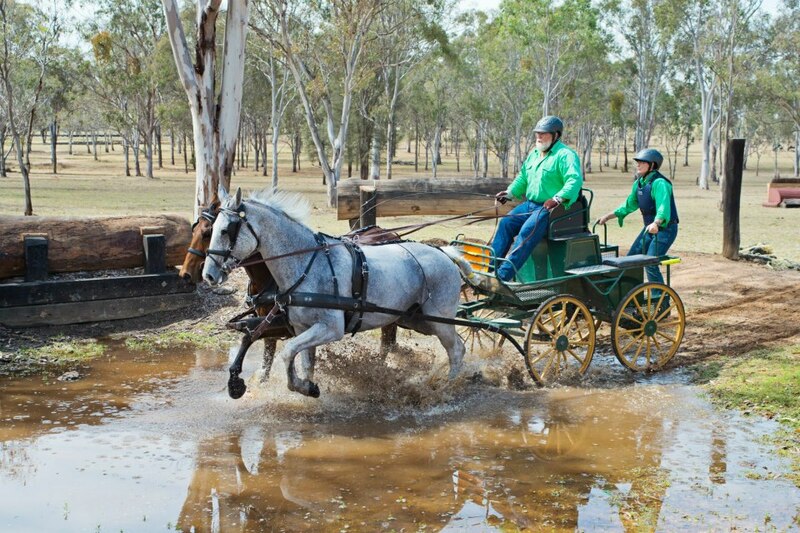 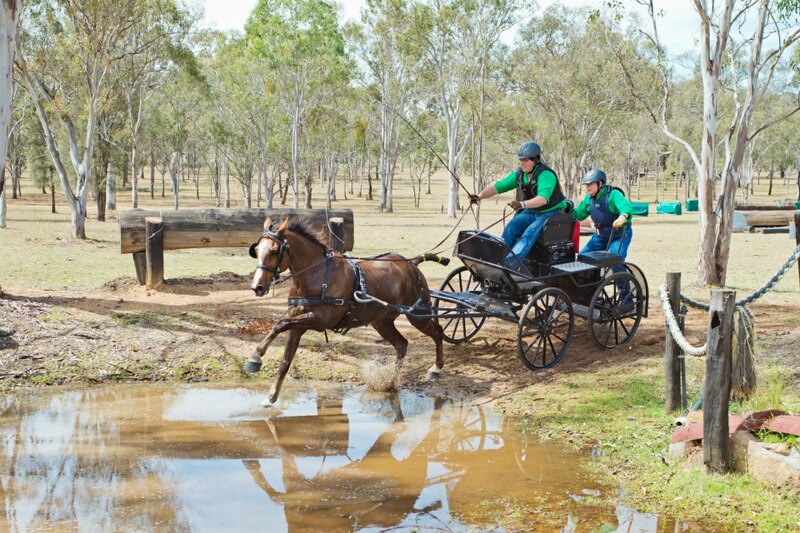 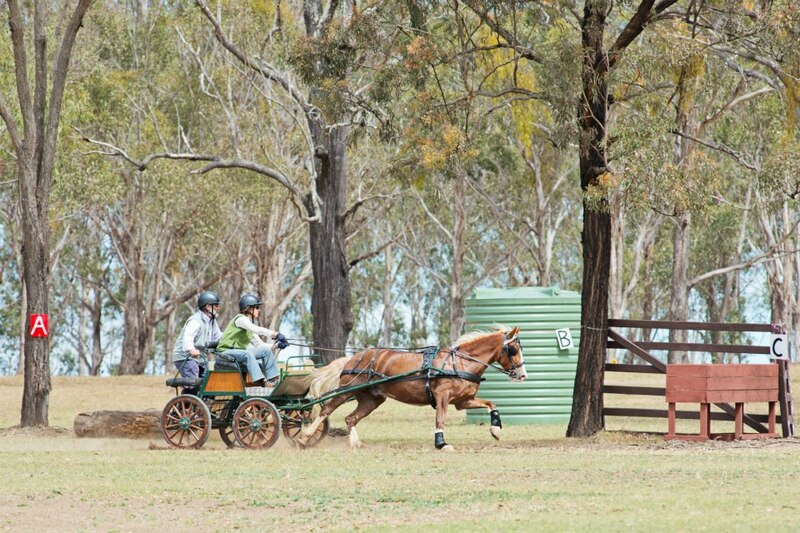 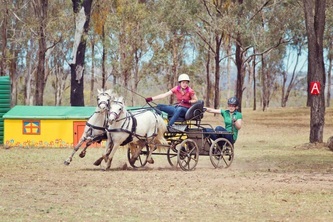 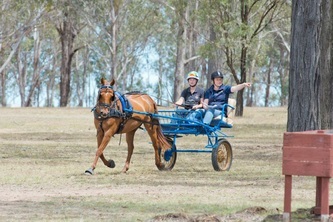 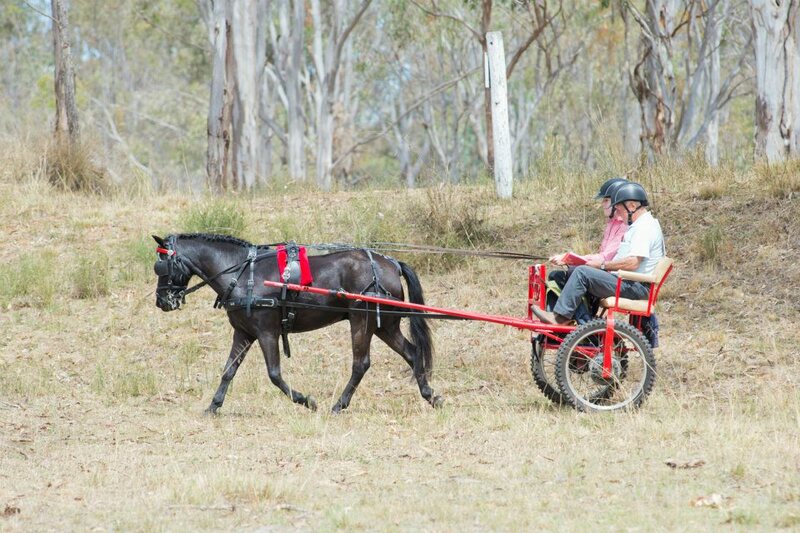 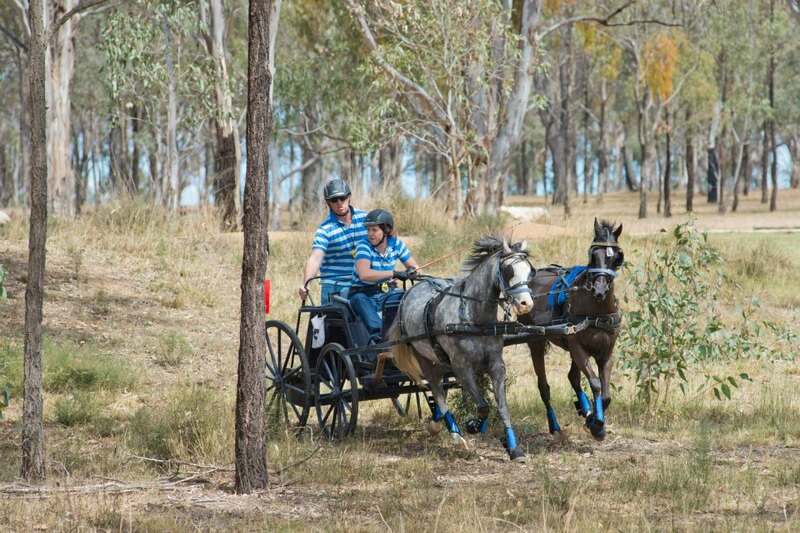 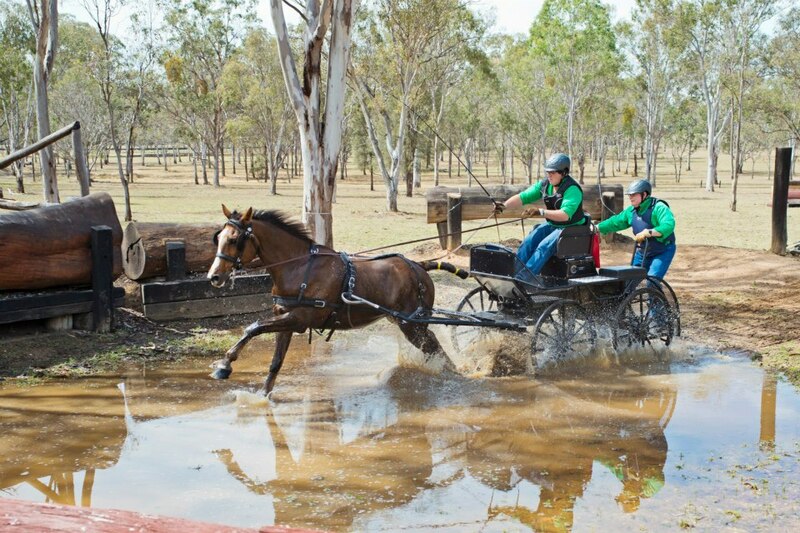 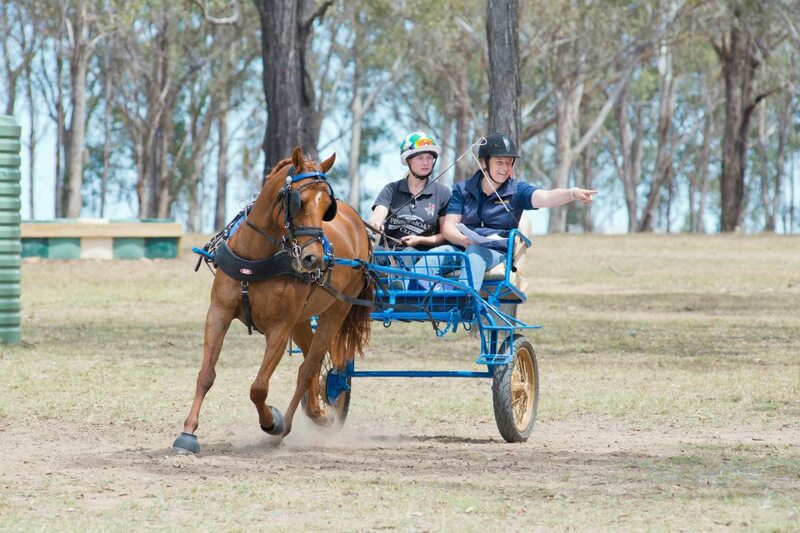 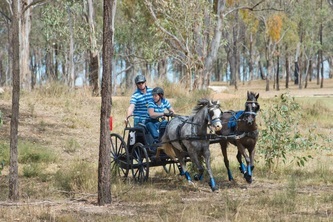 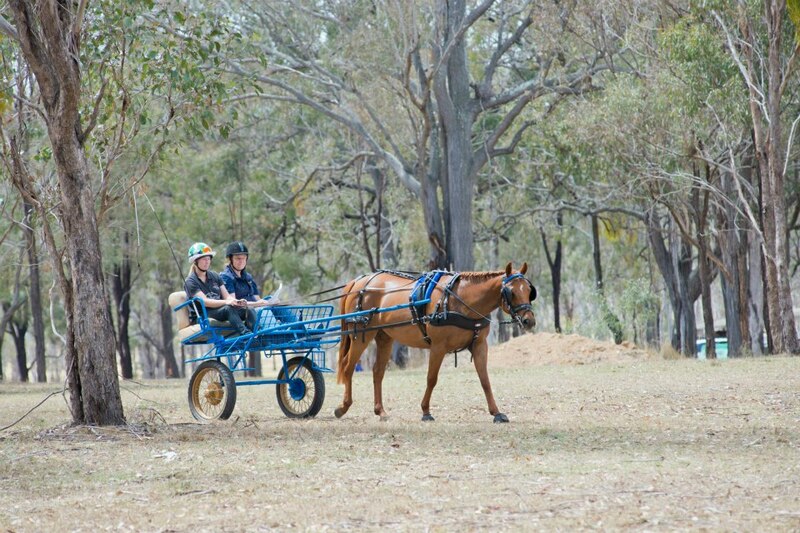 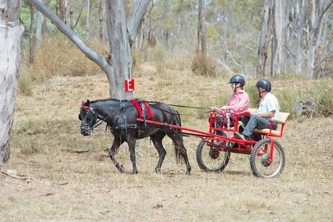 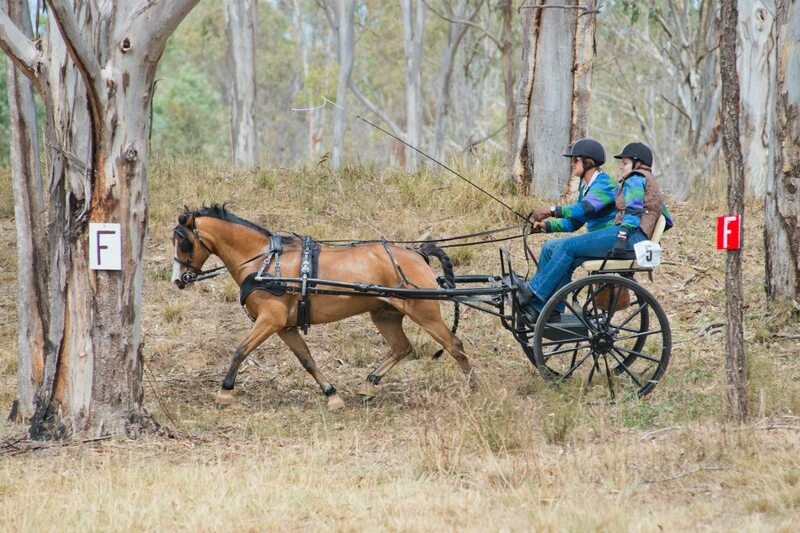 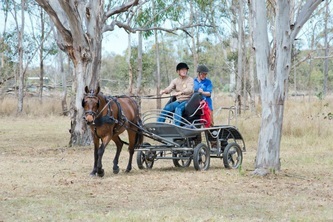 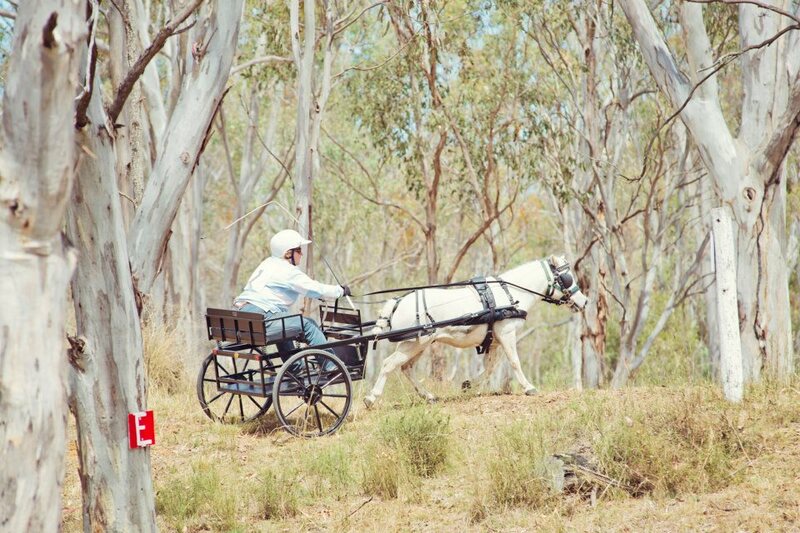 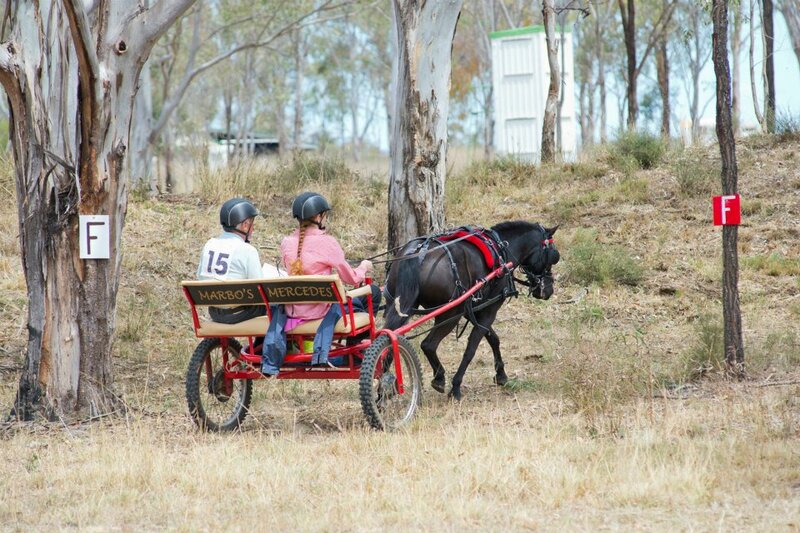 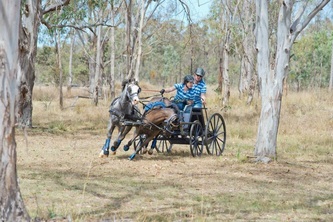 Another successful QLD CDE Championship has been held by the Warwick & District Carriage Driving Club. 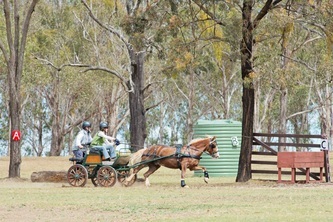 Amanda See once again travelled from near Scone, this time with a pony pair, and three competitors from N-W of Clermont, who had never competed in a CDE before, came and did the Level 4 event. 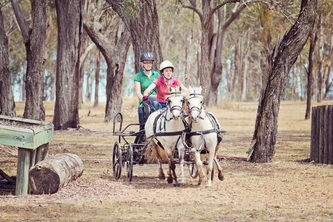 They were Tracie and Chloe Borg and Sophie Norris, a mighty effort from all concerned. Chloe is only twelve years old and there were two other junior drivers. 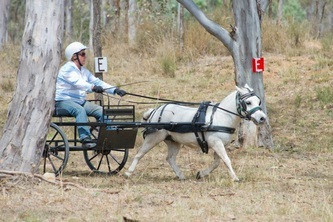 Dressage was judged by Lex and Jan Young. 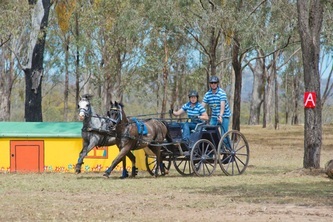 Bill Wicks in Open Horse, drove a marvellous FEI 7a test to record 35.80 penalties. 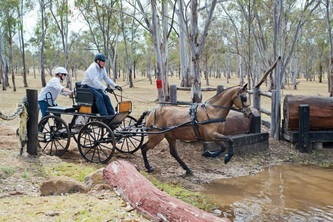 Bronwyn McAdam in Novice Big Pony recorded 37.00 and Jack Murphy in Novice Horse achieved a 51.70. 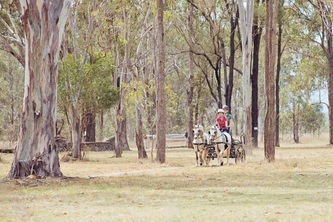 The marathon course was in three sections and nearly up to the maximum distance. Jack Murphy drove some fast obstacles, but Bronwyn McAdam recorded the least penalties. Other good scores were recorded by Robyn Douglas in Novice Big Pony and David Rozynski in Open Horse. 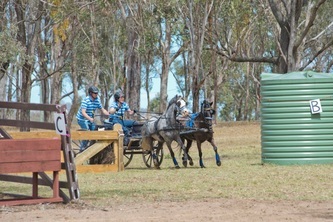 Cones was judged by Rex Walker and competitors were faced with a challenging course designed by Janet Seddon, and combined with a 200mm allowance, it was not easy to score a clear round. 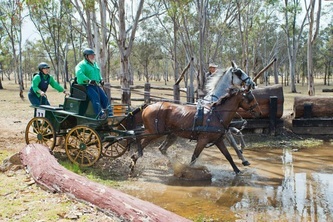 However, Bronwyn McAdam did just this. The next best round was Jack Murphy. 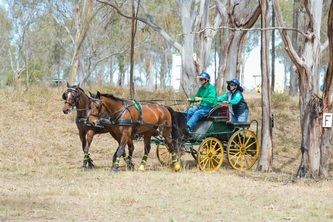 Perpetual trophies were awarded to Bronwyn McAdam for Best Novice Pony, Jack Murphy for Best Novice Horse, Best Performed Junior was Jack Murphy, and the Best Club Team went to Tamworth represented by Amanda See and Liz O’Brien. 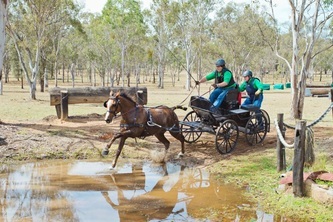 Congratulations to all competitors and organisers. 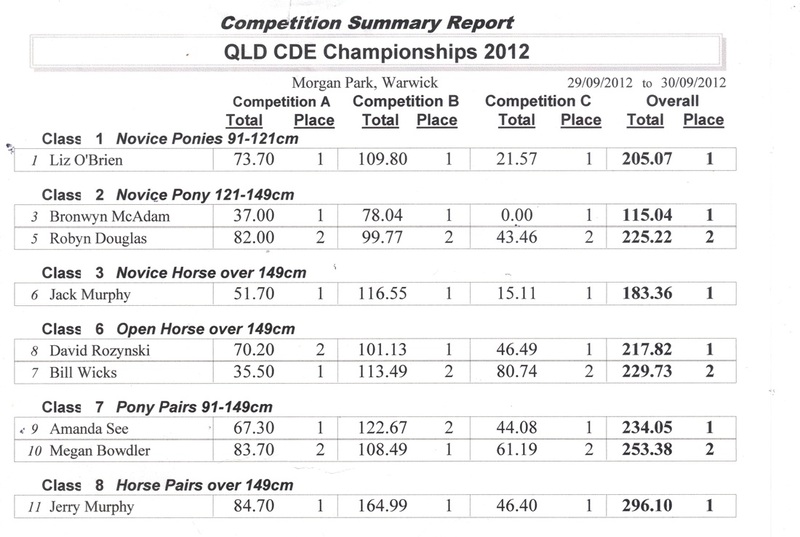 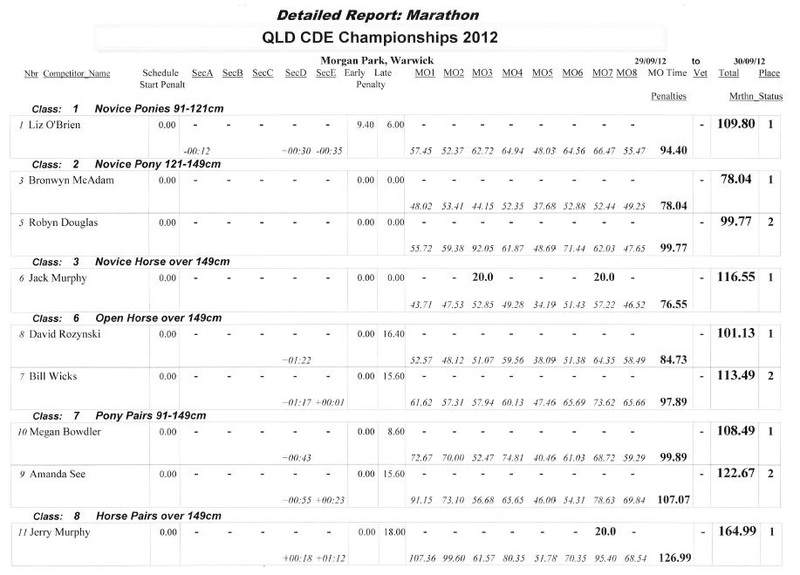 See below for the results of the QLD CDE Championships and Level 4 CDE.